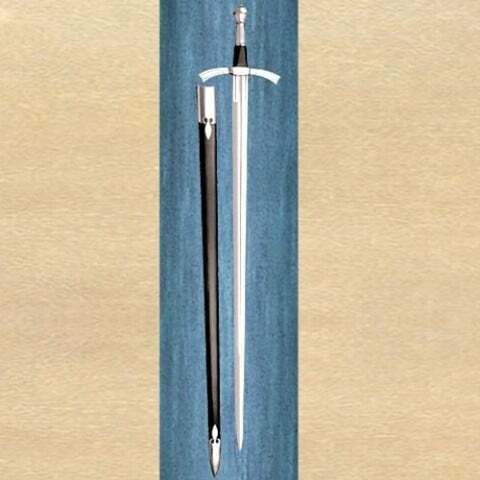 Cut and thrust sword used in the hunt and for added protection against robbers. Despatched large game such as deer and boar. Nicely shaped steel parts compliment the effective blade. Lower section of the wood grip is covered in black leather. Well tempered blade 89cm x 4cm. Overall length 106cm. Weight 1.2kg. 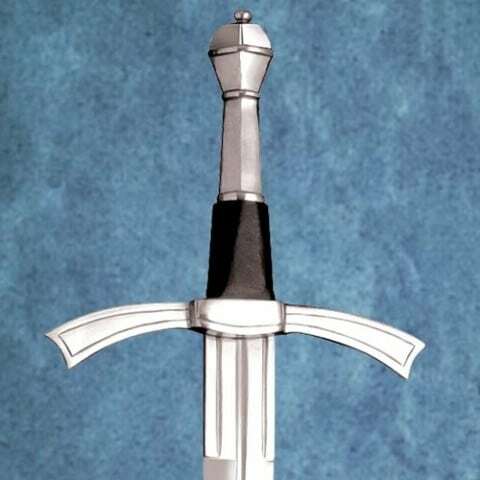 Comes with attractive leather and steel scabbard. Can be professionally sharpened for an additional $35.